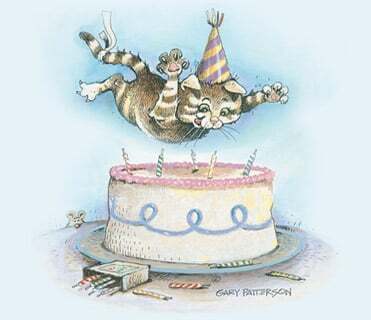 Share a laugh or smile with whimsical birthday greetings! Say "Happy Birthday" with a humorous and whimsical birthday card! Choose from a wide variety of Leanin' Tree's #1-rated funny birthday cards. They're guaranteed to bring big smiles and tickle the funny-bone of all who receive them! Make her laugh with a funny birthday card for her, or give him a chuckle with a hilarious birthday card for him. For lighthearted cards that poke fun at growing older or sympathize with the woes of aging, shop our "Funny Birthday Cards about Getting Older"! Looking for the right birthday quotes, messages and wishes? Browse our suggestions for What to Write in a Birthday Card!